We will be reviewing applications and inviting participants to enroll until all available slots are filled. If we reach full capacity prior to the deadline, we will notify all applicants via email. Additional individuals may be approved and placed on a waiting list in case initial enrollees are unable to confirm their participation. Introduction to grants available to artists, with a focus on government-funded grants (national, state, regional and local). 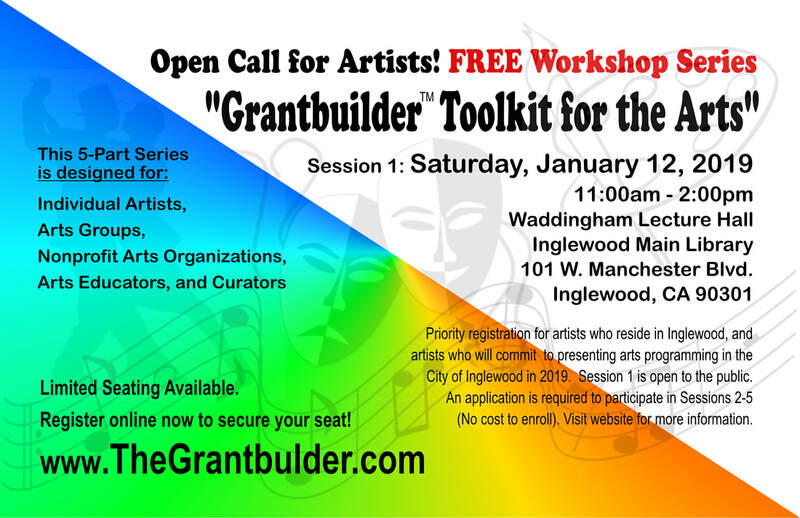 This will include an overview of current and upcoming grant opportunities for individual artists, arts organizations and other nonprofits that provide arts programming. During this session, we would provide attendees with an overview of the program, eligibility requirements,* and the link to the online application. We will provide technical assistance and mentoring to help artists complete and submit an initial grant application to an appropriate funding source. This will include guidance on how to create MOU’s to collaborate with other artists and/or organizations. Participants will learn how to develop budgets for specific artistic projects, as well as how to develop an annual budget to support the 12-month plan. This session will also introduce practical options for recordkeeping and accounting needed to prepare interim and final reports to funders; artists will also need this information to prepare and report for state and federal tax purposes. Each participant will submit a completed grant application to a funding source. Participants will also proceed with preparing an outline and checklist to proceed with the preparation and submission of the next grant noted on their respective 12-month plans. The arts discipline you list should be reflected in your online portfolio. Use this box to provide additional information related to your online application.